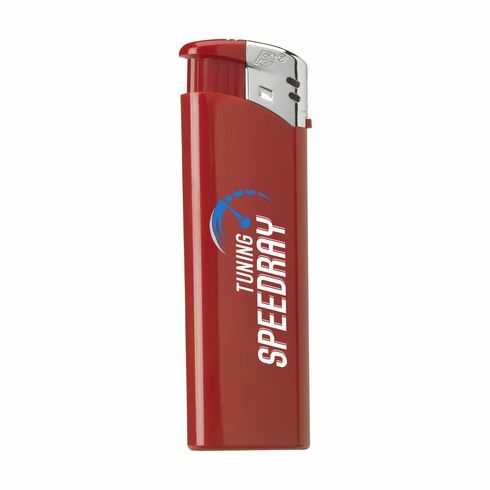 Electronic, refillable lighter with adjustable flame. Equipped with child lock. Possible with a full colour print.